Snowing like crazy! Staying indoors! Sound familiar? I think Canadians across the country are doing the same thing! I’m sitting here thinking about my garden come spring….not such a long way off as you might think. My garden consists mainly of vegetables. I have one small corner where I am cultivating a tiny perennial garden, mostly to attract bees to the garden and fruit trees, but the rest of my effort goes into the production of food. I’m fortunate to have been gardening for so many years, but some of you don’t have that experience. 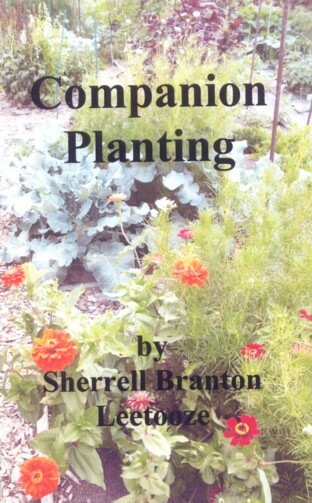 To help you out I wrote Companion Planting, a book that helps gardeners plant friendly plants next to one another which helps (just one step in many) plants to be healthier and grow to their optimum. 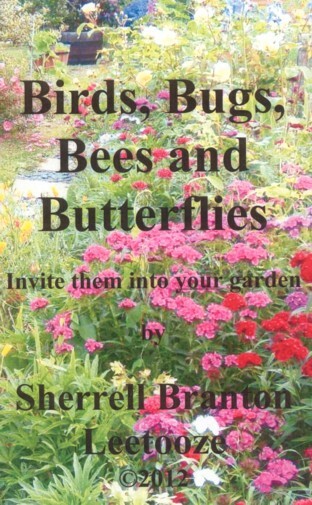 a book which helps you have a natural garden without chemicals. Did you know that there are good bugs and bad bugs? Yup! Want to invite birds into your garden so they can eat the bad bugs? Want to have lushiously bearing plants? Bring in the Bees! Did you know that butterflies also pollinate your plants? Invite them in too! How do you do all this? Buy the book! These books are each $15 plus postage and can be ordered by contacting me or by going to my website. Copyright © 2018–2019 sherleetooze.com All Rights Reserved.